We are all – to a lesser or to more extent – familiar with the Perspectivity Game. 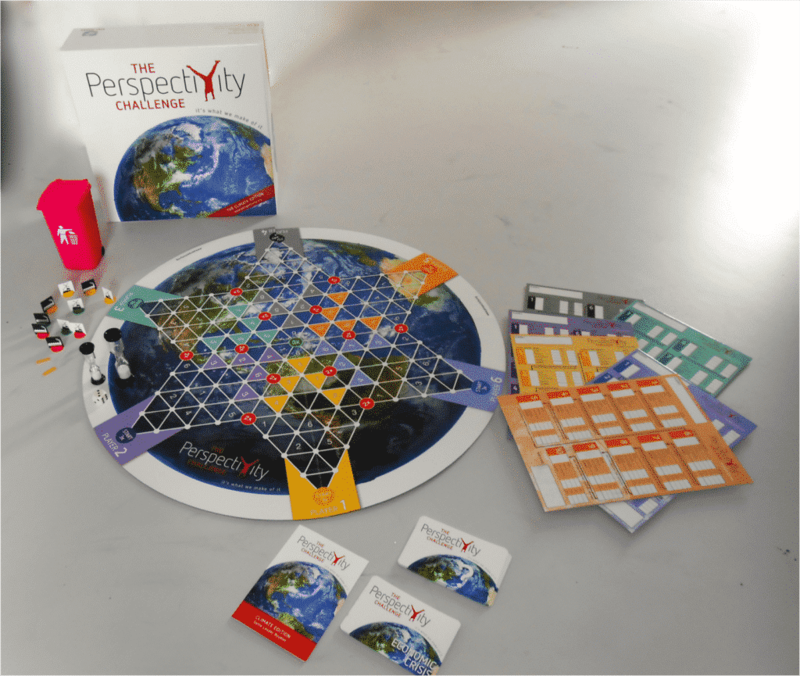 But did you already pick up the news that Perspectivity has brand new game challenges to offer? Does it make you curious? We are organizing a “games-showcase” event to show off and reveal the newly developed game concepts: to play and learn if/how they might be useful in groups and settings that you live or work with! Which games are we talking about? There is the Public Health Challenge, the Decision-making Challenge, the Food Challenge, the Human Security Challenge, National Security Challenge and the Stress Nexus Challenge. The new box and board design of the existing Perspectivity Climate Challenge will also be on display, which looks fantastic. The developers of the games will run a demo play workshop for everyone interested. You are able to participate in at least two workshops during the event – and when there is appetite to experience a full session, then we can organize a follow-up event to do that. The event also includes an update about recent game developments and how we hope to create a next level impact with the game going forward, including stepping up the way we deliver games in the business sector. If you are interested in a training, or know someone who is, please also inform us. Please also inform us in case you are interested, but not able to make it on November 28th. We are looking forward to meet you & play the new games!